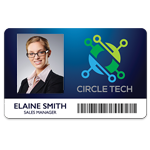 With CloudBadging ID Software, you can create professional-grade ID cards quickly and easily. Find out how! If your ID card program needs to be more secure, our ID Professionals have a variety of ways you can make this happen! 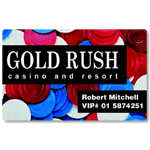 We know investing in a card printer is important to you. That's why you'll find everything you need to become a confident shopper in our Learning Center. 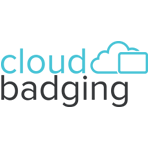 Our extensive resources provide an overview of printer technologies and the options that are available based on your business needs. As a printer owner, we'll help you get the most out of your investment with the information you need to keep it in top operating condition. 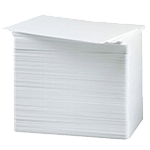 We stock the largest selection of ID card printer supplies from only the top manufacturers: Fargo, Persona, Magicard, Evolis, Zebra, Nisca, Datacard, NBS, and Polaroid. 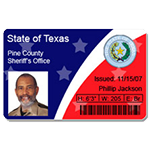 ID cards are used in many different ways and can include a variety of technologies. Learn everything you need to know about cards here, from the basics to advanced. 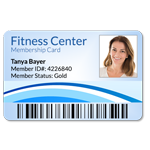 If you want professional-looking ID badges that represent your organization and your brand, our card design fundamentals will help you every step of the way. If you’re responsible for taking your organization’s ID card photos, ensure high-quality results with these simple tips. Because the quality and branding on your cards is important, it’s always smart to print a test card before an entire batch. What's the Printable Area on My ID Card? 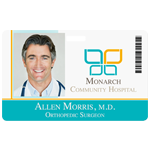 If you’re new to printing ID cards, find out why it’s important to keep the printable area in mind. Learn about the ID card software features your ID card program needs to simplify the decision of which software is the right choice for you. 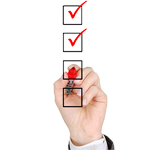 Find out how to select the best ID card software application for the unique needs of your ID card program. If your ID card needs change over time, learn how to upgrade your software for more advanced features and functionality. By understanding which type of camera and camera equipment you'll need for your employee photos, you can create higher quality, more professional-looking ID cards. Should I Buy a Photo ID Camera or Standard Digital Camera? An ID Professional explains why a high quality digital camera is the best option for taking professional-grade photos for your ID card program. Get some helpful (and easy!) tips for taking great photos for your ID cards and ID badges. Protect your ID card or badge with the right badge accessory! From badge holders to lanyards, reels, clips and everything in between, we've got you covered. An ID Professional explains how Quick Response (QR) codes can be used in an ID card program. Find out about three different ways you can add a signature to your ID cards and make them more secure. An ID Professional poses the questions you need to ask when choosing the best electronic signature pad for your business needs or application. Be inspired by the creative and innovative ways that ID Wholesaler has helped businesses both large and small build customized card printing programs. Find out how a national franchise organization used ID cards to completely refresh their brand. Find out how a southwest Florida school upgraded to proximity cards to effectively identify staff and faculty while delivering secure ID cards on campus. 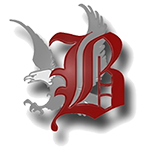 In this case study about K12 ID cards, find out how Beekmantown Central School District in New York State took advantage of CloudBadging Software. Learn the essentials you need to know about ID card printing by watching our videos: how to choose the right printer, how to make ID cards, and more! 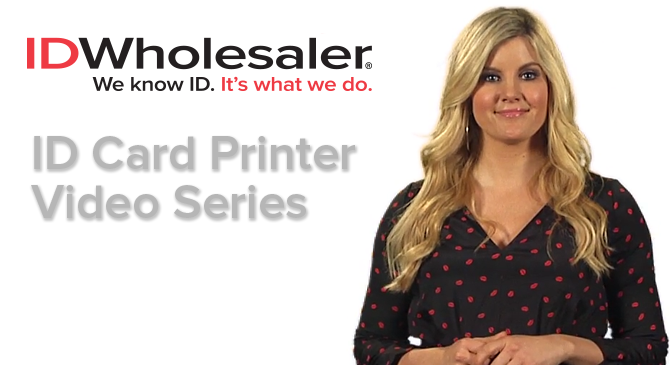 Watch our ID Card Printer Videos to learn about ID card printing, how to select the right printer, how to make ID cards, and more! What is an ID Card Printer? How does the technology inside an ID card printer compare to a standard inkjet printer? Watch the video now to find out! Take this tour of an ID card printer to get a better understanding of just how ID cards are made. 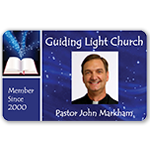 Learn about what you'll need to start making ID cards for schools, colleges and universities, churches, casinos and gaming, police departments, and more!